Photos from a train journey around Switzerland. 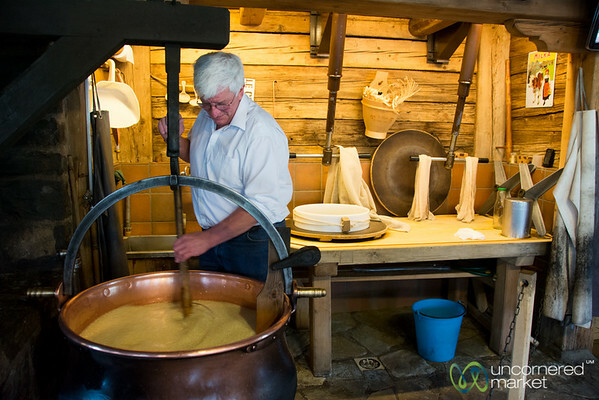 Early in the cheesemaking process - lightly boiling the milk mixed with substance that makes it slightly curdle. Chalet Bio cheese and at a restaurant of the same name. 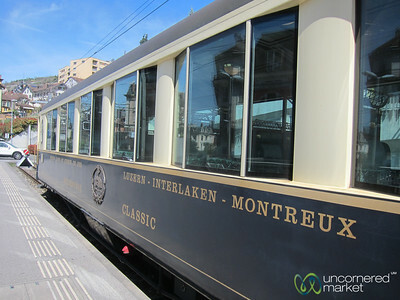 Part of the Cheese Train from Montreux, Switzerland. 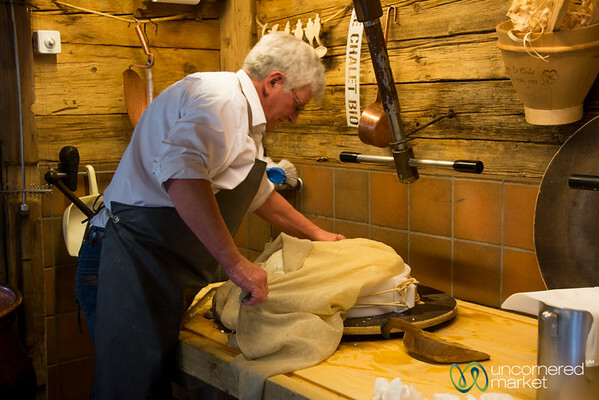 First stages of the Le Chalet Bio cheese process, fitting the curdled milk into a mold. It will be pressed for 24 hours and then covered in brine and then dried for 6-12 months. We tried the final product - delicious! Chateau d'Oex, Switzerland. 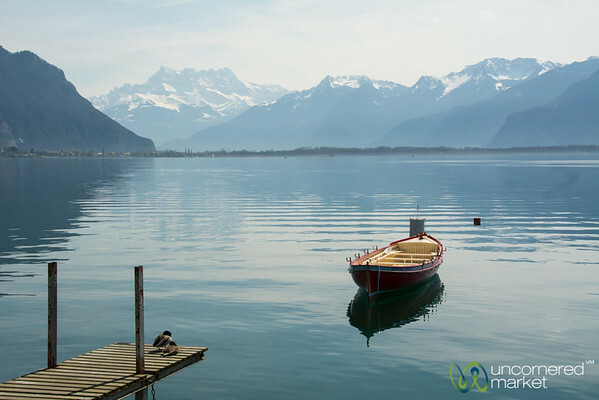 Two ducks watch the stillness of Lake Geneva - Montreux, Switzerland. 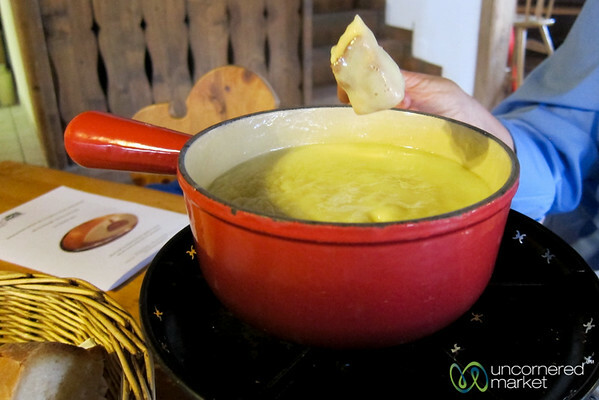 A beautiful pot of cheese fondue made from 3 types of cheese at Le Chalet Restaurant in Chateau d'Oex, Switzerland. Part of our Cheese Train (Train du Fromage) experience. 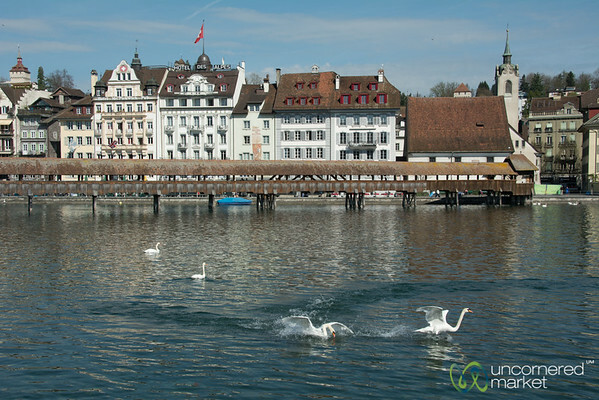 Swans chasing each other around the Chapel Bridge (Kapellbrucke) in Lucerne (Luzern), Switzerland. 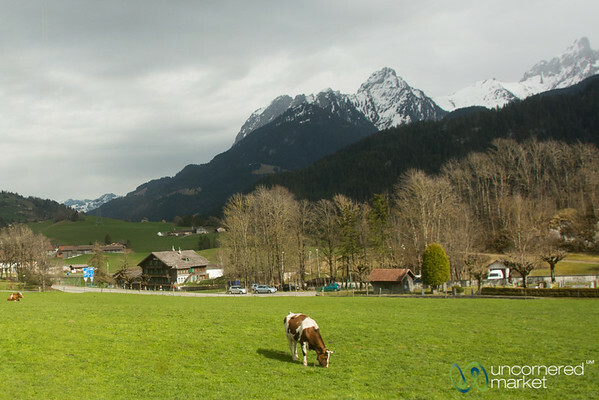 A happy alpine cow on the way to Chateau d'Oex in Switzerland. Seen from the Cheese Train (Train du Fromage). 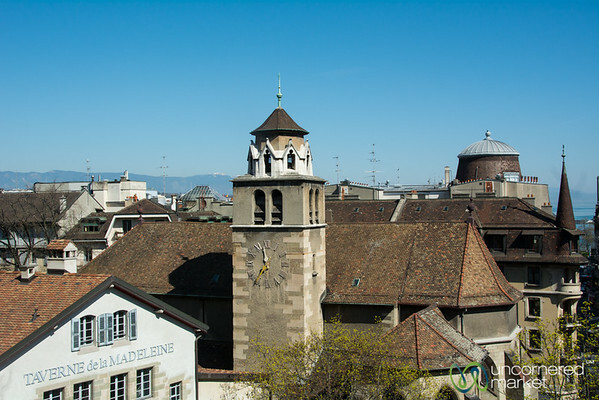 View of Geneva from the hill where the old town sits. Switzerland. 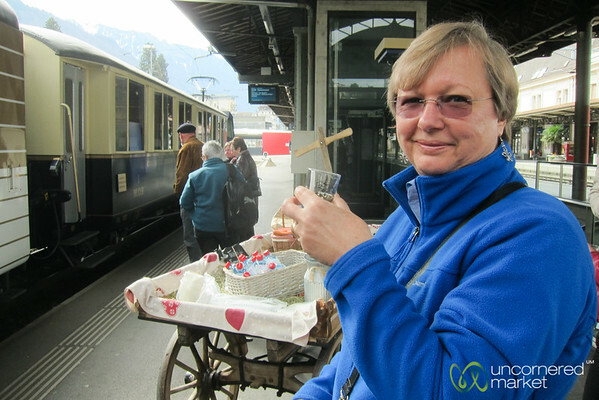 Enjoying a meal in our GoldenPass Classic train while watching the mountains go by. Rather lovely. Switzerland. 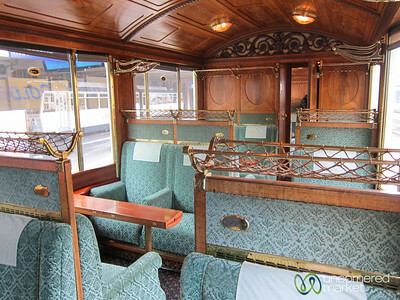 The interior of the Cheese Train (Train du Fromage) is based on the early 20th century trains that took British travelers into the mountians on the same route. Montreux, Switzerland. 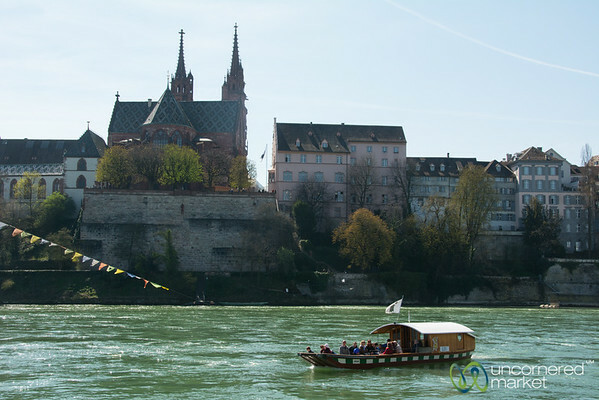 This boat has no engine, but uses the current of the Rhine River to go back and forth. 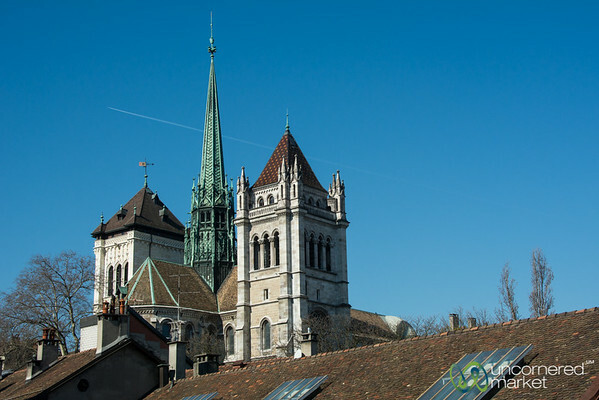 It's also part of the city's public transport system. Quite a cool way to get around. Basel, Switzerland. 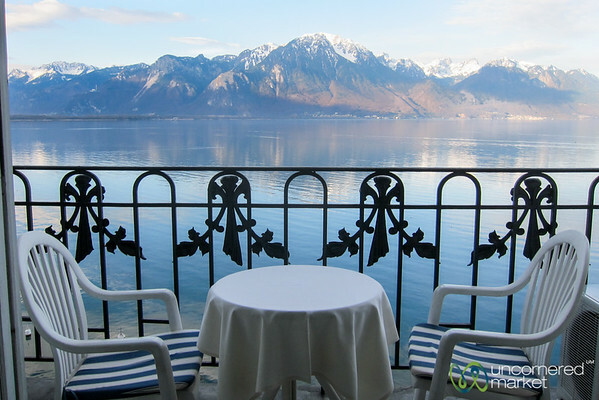 A rather lovely view from our balcony of Lake Geneva and the surrounding mountains at Excelsior Hotel in Montreux, Switzerland. 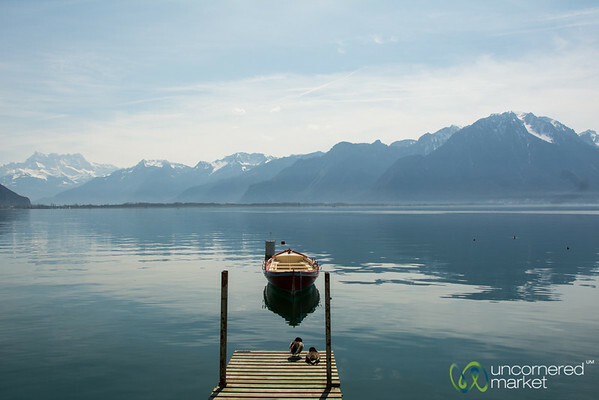 Two ducks and a boat, Lake Geneva. Montreux, Switzerland. 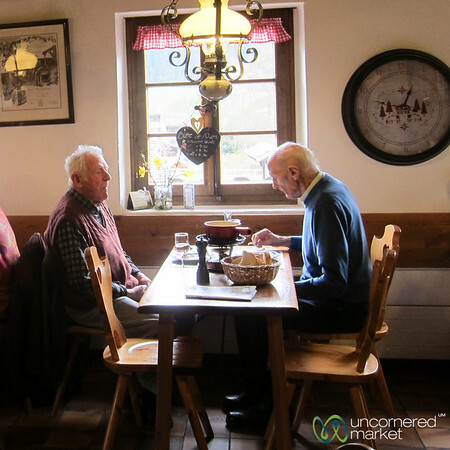 A couple of local men enjoy their cheese fondue on a Saturday afternoon in Chateau d'Oex, Switzerland. Now this is a balcony view. 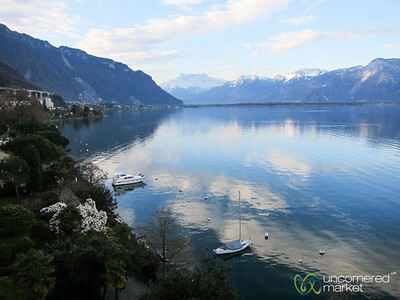 Taken at the Hotel Excelsior in Montreux, Switzerland. 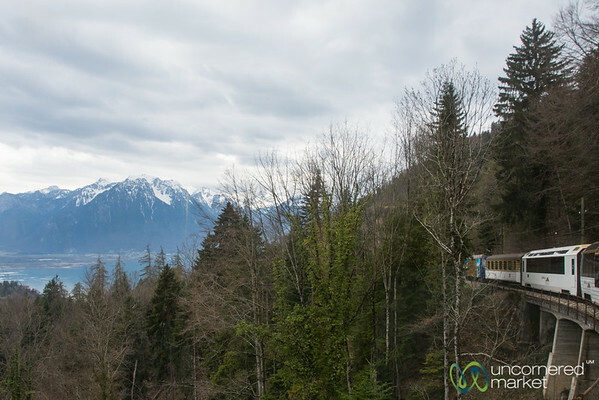 View of Lake Geneva and Montreux below while on the Cheese Train. Switzerland. Cheese train begins with white wine tasting at 10:30AM. 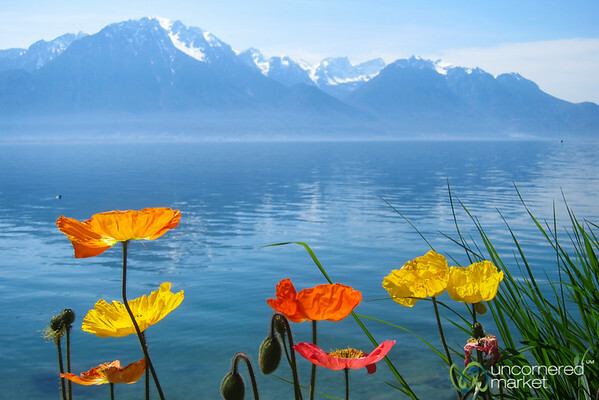 My mother seems to like it OK. Montreux, Switzerland. 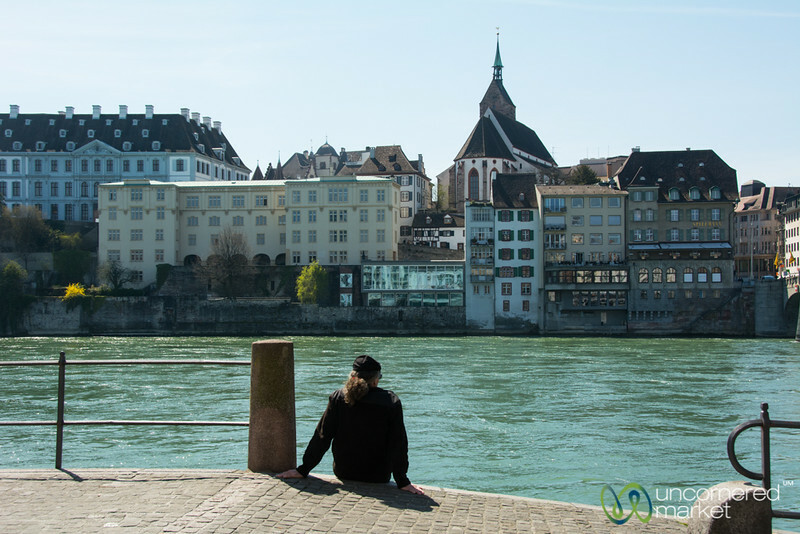 Enjoying the sunshine along the Rhine River on a sunny day in Basel, Switzerland.